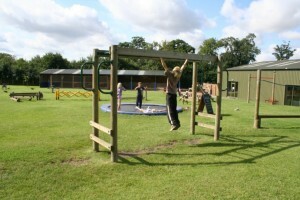 We have developed a wonderful outdoor playground for all ages to enjoy. 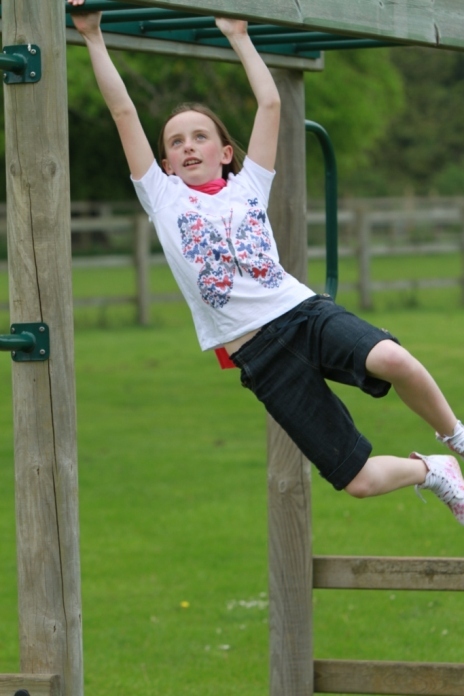 The trail blazer course will test your balancing, climbing, scrambling and swinging abilities and makes a wonderful off ground circuit to play on. 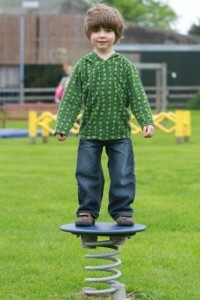 There are also wobbly boards and dizzy discs to amuse you. 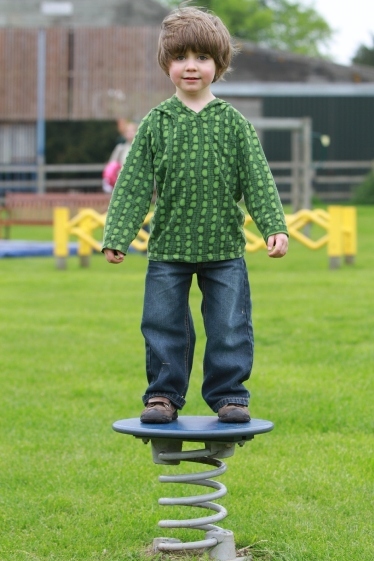 A see-saw and a turnstile will also keep your senses working. 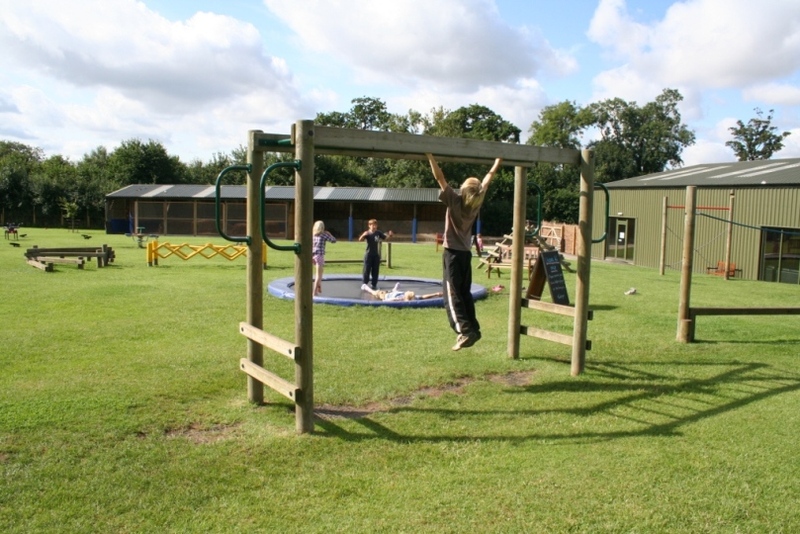 If football is your thing then why not take full advantage of the two goals and challenge your friends to a match, no need to bring a ball we have plenty to lend you. 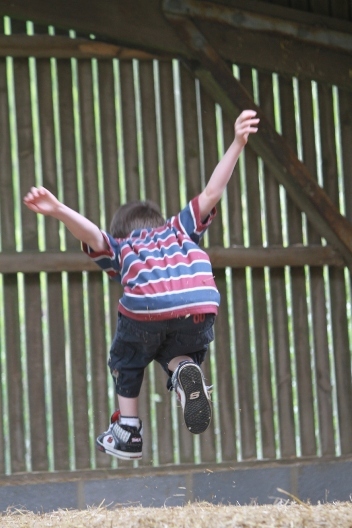 If you still have some energy left then bounce it off on the trampolines with everyone joining in. 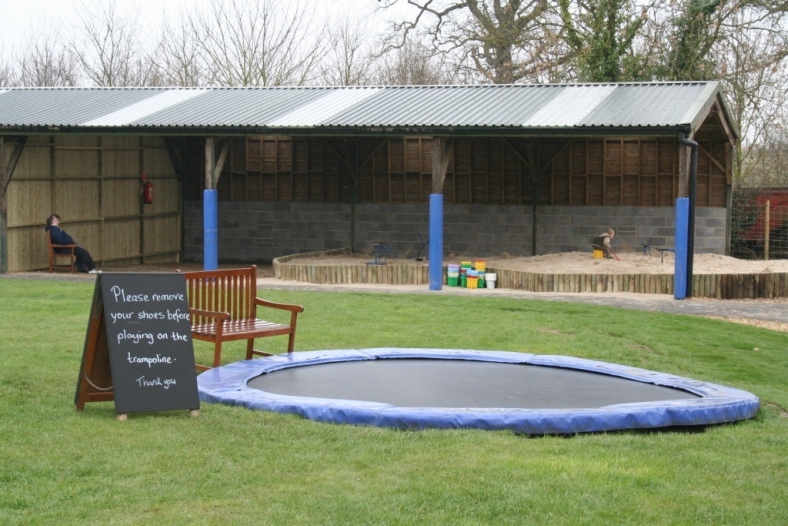 There is one trampoline specifically for the under 5s, and all 3 trampolines are dug into the ground making them safe and easy to get on and off. 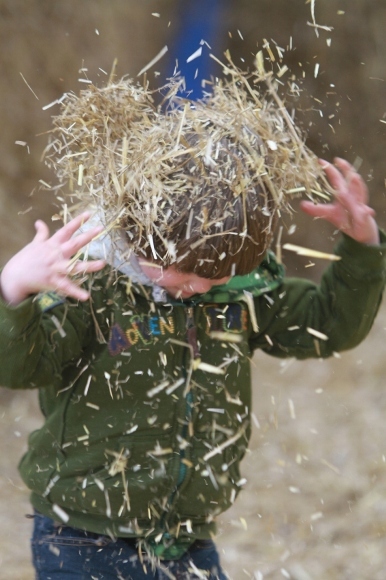 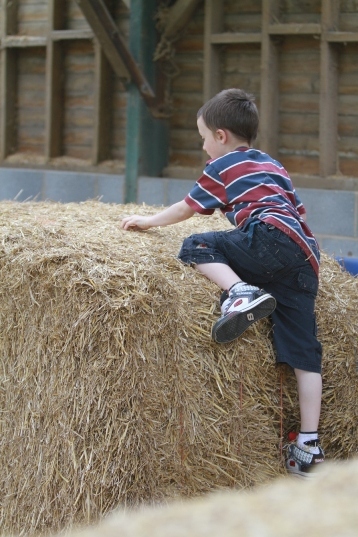 When the weather gets a bit wet we have a wonderful undercover sand pit with lots of buckets and spades and a straw barn for young and old to scramble around and jump off into the super soft bed of straw. 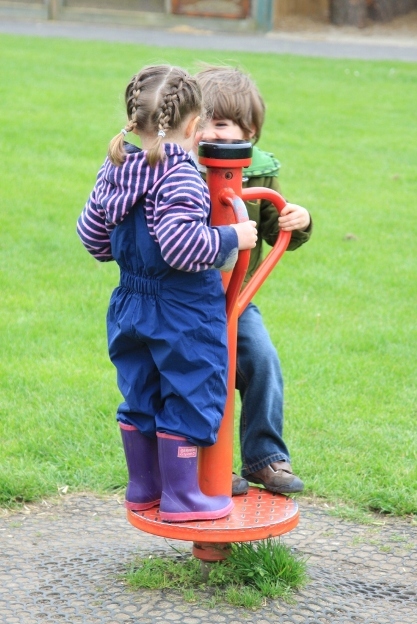 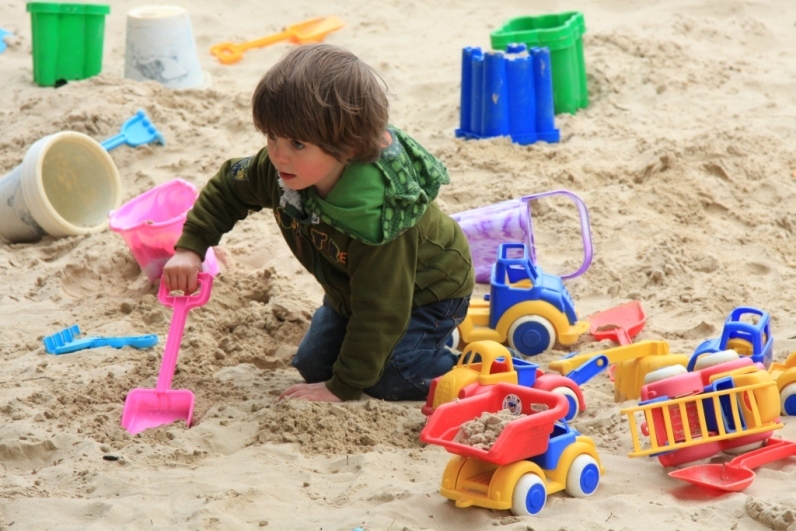 Our play-ground equipment has been made with guidance from ROSPA, who inspect it every year – we always pass with flying colours and there is always a qualified first aider on site should any accidents happen.